You wouldn’t think that the excitement of a new drive was worth waking up at 5.30 am for. 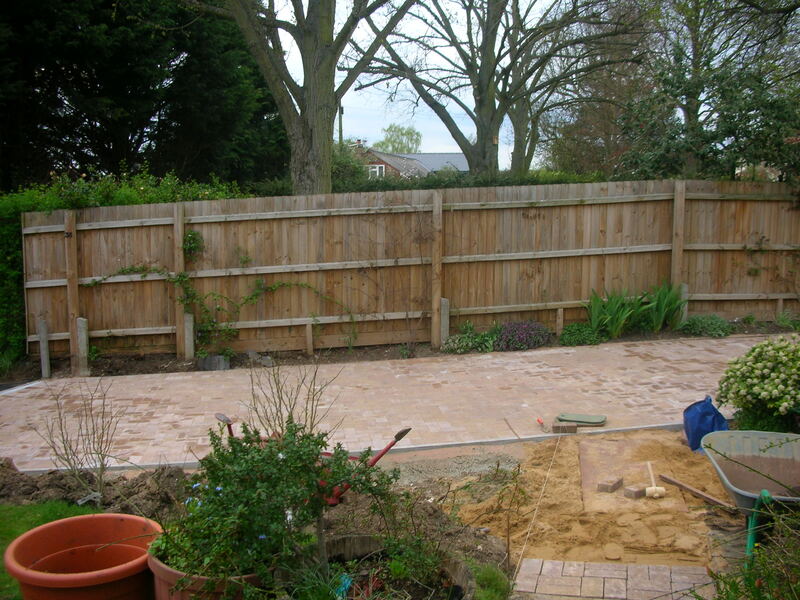 Yet, for the last three mornings I have been waking at this hour and been out in the garden working on my bit of path or levelling bricks in the old bit of the drive before the men come to fill in the sand again. I think it is the sense of coming near completion of a project. This is (nearly) the end stage of a very long sequence, of dreams, ideas, design, assessing finance, finding builders, working as they worked (they were very helpful). I don’t think it is that different from writing a book – though rather quicker and a little more under one’s own control in the final stages. When I was working 9 to 5, I used to wake early and write before setting off for work. They have finished – we have a new drive – but the surrounding chaos is daunting. We will have to barrow large quantities of earth and probably buy some as well. I still have much path work to do, and this includes the path to the front door. We forgot to ask them to move back the wooden half-barrel they had shifted and whose bottom will certainly fall out if we touch it. Still the fun bit is to come, making the surrounding garden beautiful again. We’re a little concerned about the birds. The noise and movement right near their feeding areas must have been very disruptive. The mad blackbird is unfazed, but I think is short of some (bird) marbles and doesn’t know it is supposed to be wild. This entry was posted in Gardens, Writing notes and tagged Blackbirds, brick paths, project work, writing by hilarycustancegreen. Bookmark the permalink.